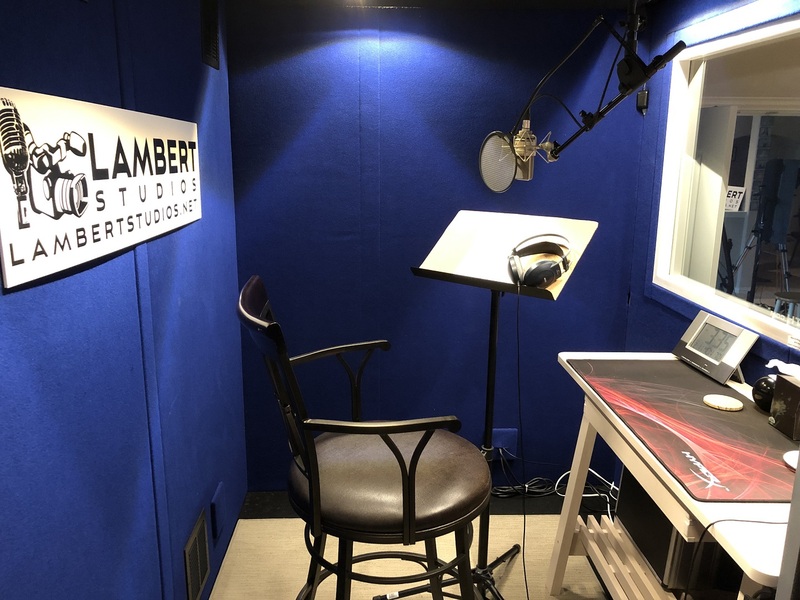 Lambert Studios has produced voiceovers for corporate clients all over the world. From Dallas to Canada to Europe to Asia. Our studio has produced voiceovers for clients such as NBCUniversal, 20th Century Fox Television, Wolf Films, Saylors Brothers Entertainment, the American Heart Association, Travelocity, Farmers Insurance, and many others. You are amazing to work with. Thank you for being our partner. We always know we can count on you. Let's make one thing clear: This is not a home studio. This is a PRO studio - in a home. There's a big difference. Most "home studios" are set up with a closet converted into a recording booth. Our facility includes a comfortably air-conditioned 6'x8' noise-cancelling isolation booth custom built by VocalBooth.com equipped with your choice of a Neumann TLM-103 condenser microphone, a RØDE NTG-2 shotgun microphone, a Blue Baby Bottle microphone, two AKG Perception 200's, one AKG C3000B, and multiple headphones to accommodate up to 4 artists at any given time. We also have a Yamaha DGX-660 PortableGrand piano. Our recording/editing workstation consists of a custom-built system with a liquid-cooled Intel i7 6900K 8-core/16-thread CPU with 64GB RAM, solid-state boot drive, Nvidia GTX 1070 video card with 8GB RAM, running Adobe Audition CC with an 8-channel Focusrite Saffire PRO 40 digital audio interface and an 8-channel Mackie Control Universal Digital Audio Workstation. We can also convert our Adobe session files to a variety of popular formats: ProTools X & later, Reaper, Vegas, Final Cut Pro, just to name a few. Can't make it into the studio for the session? We are a Source-Connect studio allowing us to patch directly into your console. Don't have Source-Connect? We also use Source-Connect Now which will allow you to connect directly to our recording booth using Google Chrome and a high-speed Internet connection. All our customer data, session files, and masters are continually backed up to an offsite service utilizing a secure, ultra-fast fiber-optic connection so you'll have peace of mind not only tomorrow, but years from now.